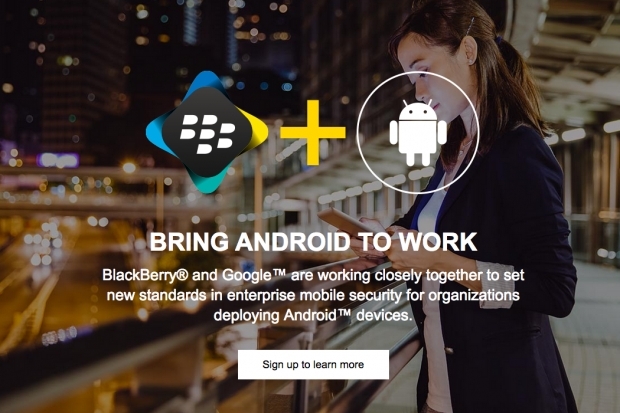 BlackBerry buys Android related domain names | BlackBerry Blast! BlackBerry is definitely getting its Android bona fides on. The company has registered two Android related domain names, AndroidSecured.com, and AndroidSecured.net. The domains currently forward to blackberry.com, and the page informs us on what BlackBerry is doing with Android. BlackBerry has beefed up BES12 to support Android and their partnership with Google is a very smart move. New features are now available through Android and BES12 that enable organizations to further secure enterprise and personal data on Android devices, set new levels of hardware based encryption, and ensure tight integration with Google Play� for Work, for increased application management, while delivering a consistent end-user and management experience across their Android fleet. BlackBerry's new focus on software for the enterprise continues to move forward. The company is changing, and that's a good thing.